Having xampp lite and sublime text (portable install) in your dropbox folder makes you have your PHP development enviroment up to date in every computer you want. If you use a spanish keyboard and the outstanding editor sublime text 2, you will find press the } key really annoying, because you will get a block comment code instead the } character which it is used “sometimes” when programming. To fix that just open Preferences > Key Bindings – User menu. That will open a file, there you need to paste the line below inside the  brackets and save it. You will be able to use } again. (Spanish) Si empiezas a usar sublime text 2, un editor de código bastante recomendado, para programar con un teclado español, te habrás dado cuenta que cuando pulsas la tecla }, lo que llamamos cerrar la llave y que es bastante útil, en la apantalla aparece un bloque de comentario en vez del símbolo. Para que la tecla funcione correctamente, simplemente tienes que ir al menú Preferences > Key Bindings – User menu y en el archivo que se te abre escribir la linea de arriba entre los corchetes . Una vez guardado, la tecla volverá a funcionar como debería. 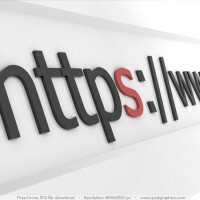 I found some interesting and modern projects like Httpful and Guzzle, but they created with REST in mind, and I was looking for something much simpler, but powerful enough to allows to get https pages and authentication. And searching a bit deeper I could finally find Requests. Yeah, with that name it’s really difficult to find it, everyting is called request on the internet. What I found is a Http client for PHP created by Ryan McCue, inspired by the python’s Requests library. The chrome extension +You Gbar is becoming famous quickly, and in one week more than 5k people have downloaded it. In case you don’t know about it, the extension lets you personalize the order of the Google Black Bar which you can find in every google service page, sorting its elements by dragging and dropping. +You Google Bar: Customize it! There is something about Google that has always annoyed me, the links in the black upper bar. 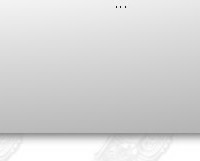 That bar couldbe really useful, I remember when I had a link to Google Reader in it, what a beautiful time!! But some day Google decided that there are more interesting things to show in that bar, like Google Play that I have never used, and they don’t let me configure the bar to bring my beloved Reader back. So if your WordPress is older than 3.3 DO NOT UPGRADE YOUR PLUGIN. If you already did, just downloading the version 0.8.2 everything should return to normal. I really would like to explain all the improvements slowly, so I will take my time to update this post, until then, feel free to leave a message. There is a famous rule out there called DRY (Don’t repeat yourself), and if there is one thing I have to code once and again in Opencms is Structured Content lists and their pagination.I will postpone the DRY way explanation of making structured contents lists for any other day and I will explain how to write a reusable robust pagination mechanism for Opencms. 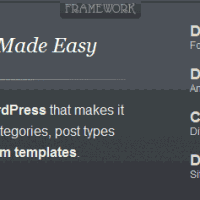 There have been a lot of people contacting me about the Custom Sidebars plugin, it has reached +20000 downloads already. Some of them have told me about a bug, others about some possible improvements… Thanks to you all, I will try to listen to everybody to make a useful plugin. 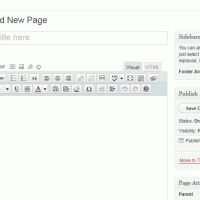 In case you don’t know what this plugin does, Custom Sidebars allows a WordPress administrator to create all the sidebars that he or she may need and assigns them to a post or page individually. It also permits you to assign custom sidebars to the home page, category archives, custom post types, author pages… Long story short, Custom Sidebars gives you the control over your site’s sidebars.